The Arcadia offers convenient single floor living. An open floorplan showcases an eat-in kitchen, breakfast area, family room, and formal dining room. The Owner's Suite has a full bath and walk-in closet, and is located next to the laundry room. 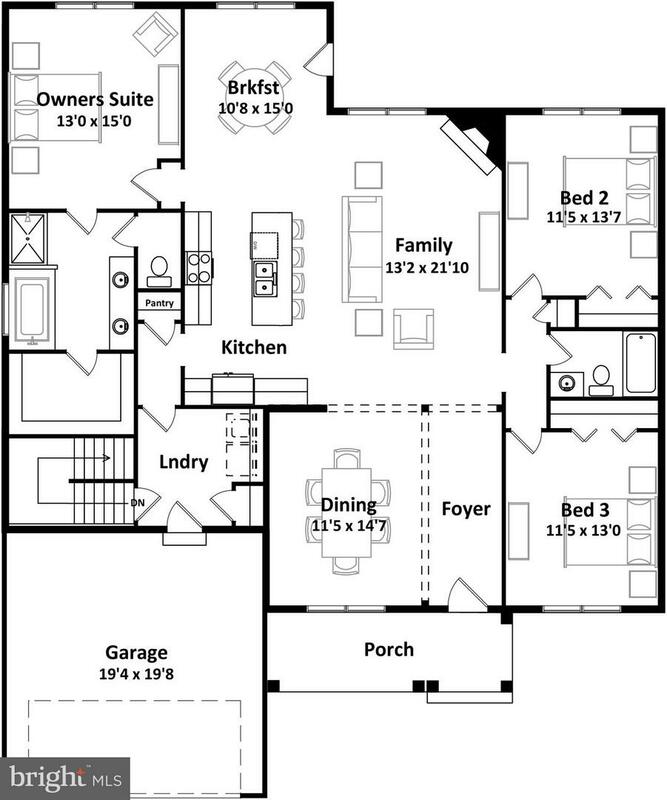 2 additional bedrooms and a full bath complete the home. Personalize this home by choosing from a variety of interior options and exterior elevations to match your taste!